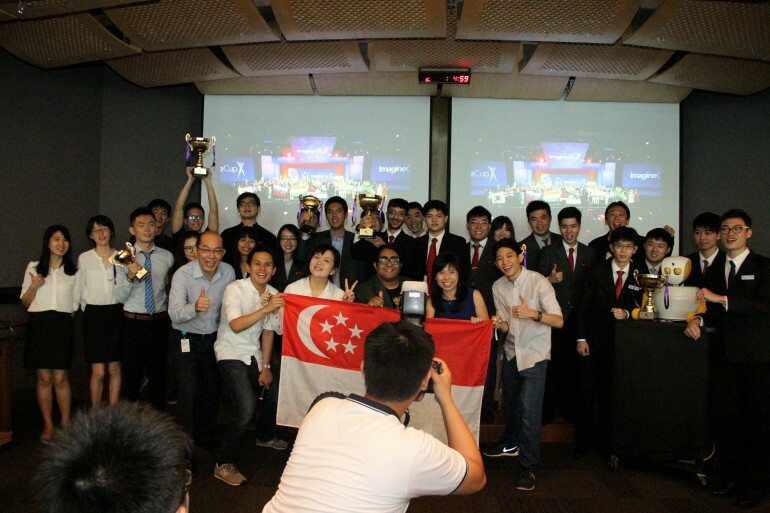 SINGAPORE, 1 April 2016 — Microsoft Singapore today crowned three outstanding student teams from Singapore Polytechnic and Nanyang Polytechnic as the Games, Innovation and World Citizenship champions of Microsoft Imagine Cup Singapore 2016. Centred upon the theme “Creating with Code”, this year’s Imagine Cup competition saw a total of 65 project entries from 150 tertiary students, presenting a wide range of innovative applications, games and solutions that have the potential to influence gaming, healthcare, education, environment and customer care fields. Into its 14th edition this year, Microsoft’s premier student technology competition has inspired countless students over the years to dream and build original solutions that can change the world. This year, the winning projects – Imagine by Team Holy Trinity from Singapore Polytechnic, NYX by Team Natural Conquistadors from Singapore Polytechnic and Ruth by Team Yuuy from Nanyang Polytechnic outshone their competitors with their innovation and soundness of ideas, to emerge as victors in the Microsoft Imagine Cup Singapore 2016 Finals. 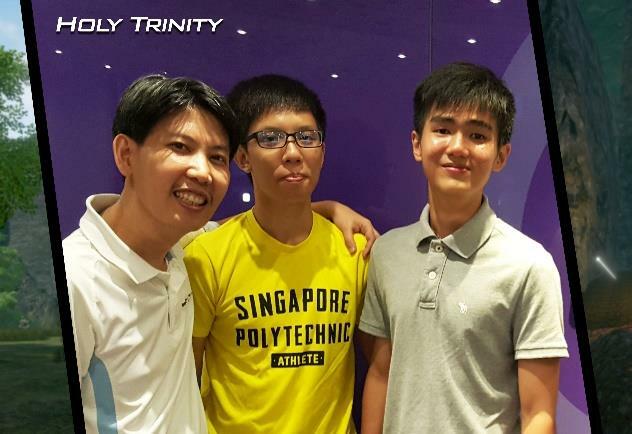 Singapore Polytechnic’s Team Holy Trinity created Imagine, a role-playing game about the fantasy world Aferion, where challenging obstacles and enemies await players. The story revolves around the protagonist, Cliff Owen, an 18-year-old boy from Earth who has a huge interest in fantasy and magic. Going into the library one day, he found a mystical book in a dark corner of the library. Excited to view its content, Cliff opened the book immediately, and as he flipped the book open, a blinding light flashed and incapacitated him. With excitement and anxiousness, he set out on his journey to explore this mystical world, discover the strength of his powers and most importantly, return home. 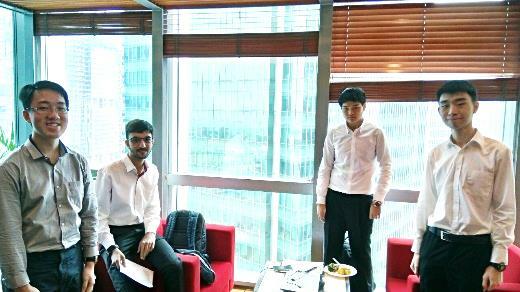 Team Natural Conquistadors from Singapore Polytechnic wowed judges with NYX, a customisable chatbot-driven platform set to transform event planning and end-to-end customer care. With NYX, event attendees can easily pull the information they need by simply having a casual conversation with the chatbot. 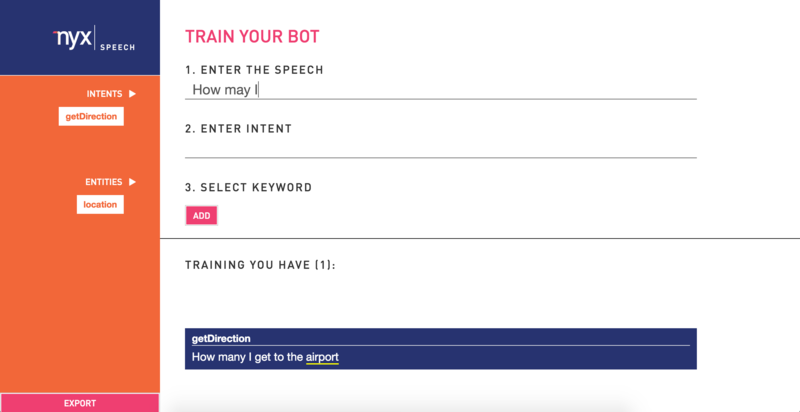 The team harnessed the power of API integration and cutting-edge technologies such as natural language processing to enable NYX to respond naturally to users. Team Yuuy from Nanyang Polytechnic delighted the crowd with Ruth, an interactive social robot designed to assist the elderly in Singapore as a personal assistant or companion. Ruth moves and interacts in a natural way, and is not only able to listen to and understand speech and context, but can reciprocate with appropriate verbal answers, recognise faces, respond to the user’s emotions and display expression feedback. Ruth’s hardware is powered by a mini Windows PC and driven by several high performance motors controlling its arms, head, eyeballs and eyelids. It also makes use of the Internet of Things (IoT) to gather and monitor the home environment, for example by detecting fire or a gas leakage, and has an integrated infra-red controller to control infra-red enabled electrical appliances such as air-conditioners. Judged by a panel of industry leaders and technology experts, including Jessica Tan, Managing Director, Microsoft Singapore; Stephanie Hung, Senior Director for Public Sector, Microsoft Singapore; Foo Jong Tong, Director of Business Development, Microsoft Singapore; as well as Rahil Bhagat, Experienced Technology Journalist and Writer for CNET, e27, Forbes and IGN Asia; Team Holy Trinity, Team Holy Conquistadors and Team Yuuy will now advance to the Asia Pacific Semi-Finals to compete for a chance to represent Singapore at the World Finals, to be held in Seattle, Washington, USA, in July. The ultimate winner will be crowned the Imagine Cup 2016 World Champion, and walk away with the coveted Imagine Cup trophy and up to US$50,000 in cash and prizes. 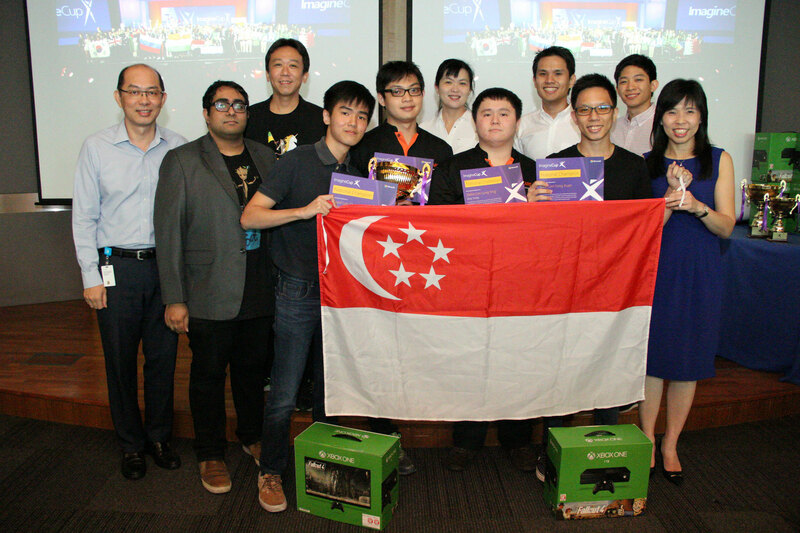 “We at Microsoft are very impressed by the quality of the finalists at Microsoft Imagine Cup Singapore 2016 Finals. Besides displaying creativity, innovation and cohesiveness of thinking, each team also demonstrated clear ability to harness the power of technology to create solutions that can have a positive impact on the way we work, live and play,“ said Nobuhiro Ito, Director of Developer Experience and Evangelism, Microsoft Singapore. “We would like to commend all participating student teams for putting in months of hard work for the Imagine Cup competition. We hope that this experience has helped the students to leverage technology with “hacker” mind-sets to help them progress new ideas and empower them to innovate and create applications, games and solutions that will be critical in realising Singapore’s Smart Nation. We also want to congratulate the three champions of Imagine Cup Singapore 2016, and hope that they will do us proud at the Asia-Pacific Semi-Finals next month, as well as at the World Finals in Seattle later this year,” said Jessica Tan, Managing Director, Microsoft Singapore. Held annually since 2003, the Microsoft Imagine Cup is the world’s premier student technology competition, known affectionately by participants as the “Olympics of student technology competitions”. 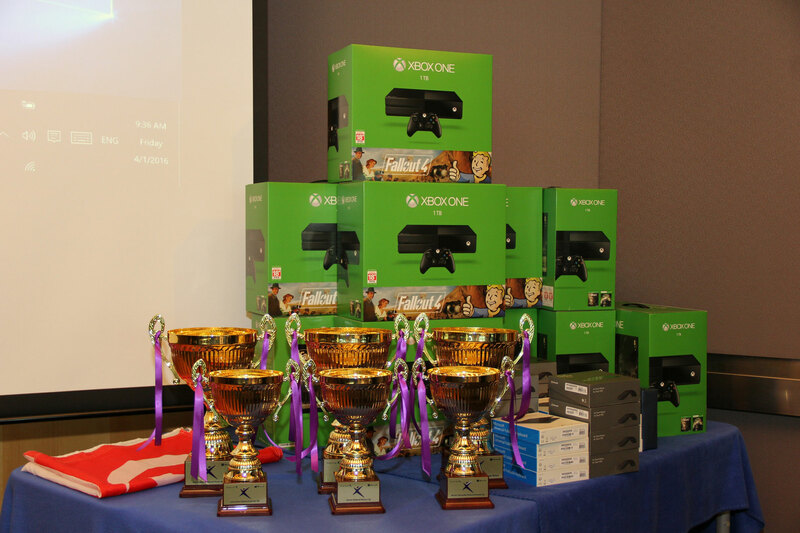 The Imagine Cup centers around three competitions: Games, Innovation and World Citizenship. 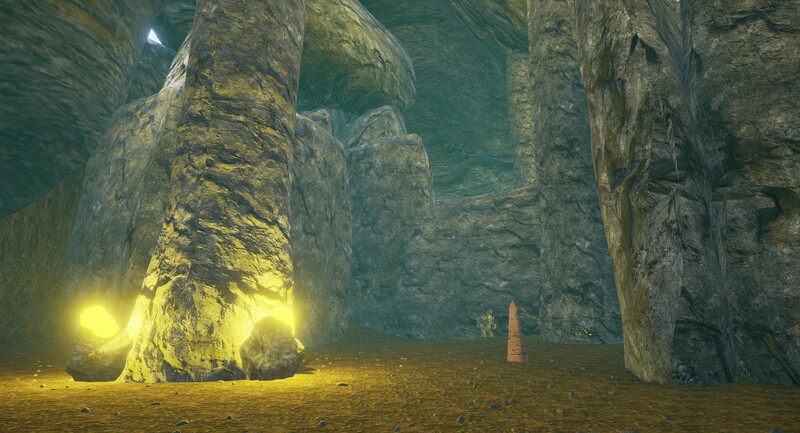 Games: The Games Competition honours the best student games built on Microsoft platforms that are fun, original, well-made and has the potential to attract an enthusiastic audience. Innovation: The Innovation Competition honours applications that deliver technology innovations that advance user experiences in major categories such as social networks, search, classifieds or online shopping — or that create entirely new categories. World Citizenship: The World Citizenship Competition honours the applications or solutions with the greatest potential to make a positive contribution to the betterment of humanity. An entrant in the World Citizenship Competition might tackle a vexing social or medical problem, promote education or generally harness the power of technology to enrich lives. 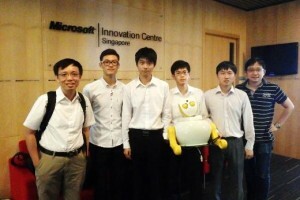 Last year, Team 3DiMS from Nanyang Polytechnic, Team Mei You from Nanyang Polytechnic and Team Mozter from Temasek Polytechnic clinched top spots in the Microsoft Imagine Cup Singapore 2015 Finals. Following this, Team Mozter from Temasek Polytechnic went on to represent Singapore at the Microsoft Imagine Cup World Finals, and eventually clinched first runners-up position in the World Citizenship competition, doing the country proud with their Mozter real-time mosquito-monitoring platform that empowers environment control officers to act upon the data collected and take timely control actions to curb mosquito activity when needed. 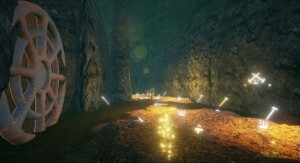 Project description: Imagine is a role-playing game about the fantasy world Aferion, where challenging obstacles and enemies await players. The story revolves around the protagonist, Cliff Owen, an 18 year-old boy from Earth who has a huge interest in fantasy and magic. Going into the library one day, he found a mystical book in a dark corner. Excited to view its contents, Cliff opened the book immediately, and as he flipped the book open, a blinding light flashed and incapacitated him. With excitement and anxiousness, he set out on his journey to explore this mystical world, discover the strength of his powers and most importantly, return home. 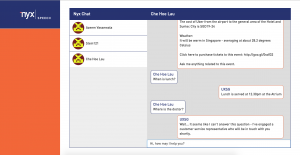 Project description: NYX is a customisable chat-bot driven platform that is set to transform event planning and end-to-end customer care. 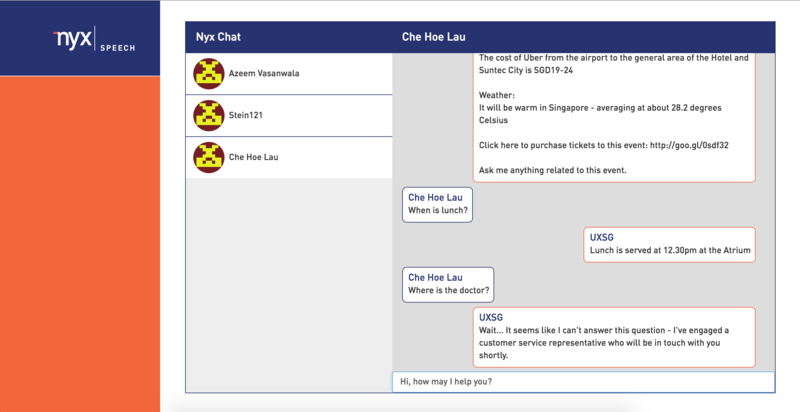 With NYX, planners can easily pull the information they need by simply having a casual conversation with the chat-bot. The team harnessed the power of API integration and cutting-edge technologies such as natural language processing to enable NYX to respond naturally to users. 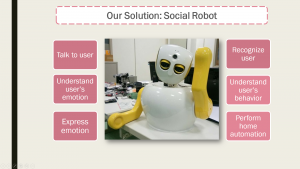 Project description: Ruth is an interactive social robot designed to assist the elderly in Singapore as a personal assistant or companion. Ruth moves and interacts in a natural way, and is not only able to listen and understand speech and context, but can reciprocate with appropriate verbal answers, recognise faces, respond to the user’s emotions and display expression feedback. Ruth’s hardware is powered by a mini Windows PC and driven by several high performance motors controlling its arms, head, eyeballs and eyelids. It also makes use of the Internet of Things (IoT) to gather and monitor the home environment, for example by detecting fire or a gas leakage, and has an integrated infra-red controller to control infra-red enabled electrical appliances such as air-conditioners.